Few countries in the world can benefit from telemedicine and the remote diagnosis and monitoring services it offers as much as Russia, with its enormous territory and multitude of sparsely populated and hard to reach areas. Yet currently, digital healthcare is far more developed in much smaller countries with few remote outposts, such as the Netherlands. As part of Russia’s bid to catch up, doctors, healthcare IT developers, lawyers and information security specialists met at the Skolkovo Technopark on Thursday for the Telemed Forum to look at the state of telemedicine in Russia following the introduction of new legislation and discuss how best to introduce telehealth to state medical institutions. 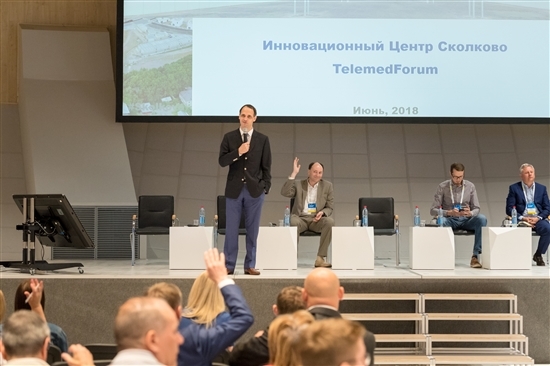 Ruslan Kamalov polls the Telemed Forum audience, and Dmitry Kurapeev raises his hand in response. Photo: Sk.ru. Skolkovo is firmly committed to the development of digital healthcare, said Ruslan Kamalov, head of the Skolkovo Foundation’s biomed cluster, welcoming guests at the forum’s opening. “Thirty percent of companies that have raised investment in the U.S. of more than $100 million are medical companies, and nearly 20 percent are in some way connected with digital health,” said Kamalov. 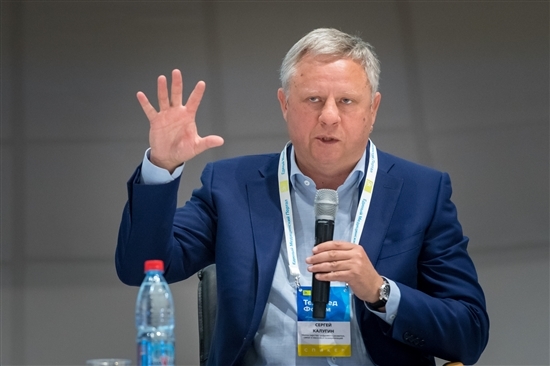 Strategic areas of digital medicine that Skolkovo startups are working in include the use of artificial intelligence (AI) and analysis of big data, systems for recognizing and working with medical images, remote diagnosis, and monitoring devices, said Kamalov. "Whether we like it or not, medicine will be digital, just as steam engines were replaced by electric trains. It’s only a question of whether we find our place in it." - Sergei Kalugin. Skolkovo startups working in these areas, many of whom were taking in part in the conference’s panel discussions, which ranged from legal aspects of telemedicine to how to make money from it, include Doc+, which describes itself as Russia’s first mobile clinic. Doc+ offers medical consultations by messenger, audio and video link, as well as providing a more traditional call-out service. Other Skolkovo telemedicine companies include Botkin.AI, a platform for diagnosis and disease risk assessment using AI; Third Opinion, a platform that uses AI to analyse medical images such as X-rays, ultrasound scans, MRI and blood tests; and UNIM, which converts glass slides of tumour cells into digital slides, allowing people to obtain thorough analysis of their tumour by the top specialists around the world. “Overall, we expect the digital healthcare and telemedical services market to develop dynamically, and those tech startups that are only starting out on that market today already have every chance of becoming unicorns in the next three to five years, and maybe even sooner,” said Kamalov, whose biomed cluster organised the conference together with Skolkovo’s IT cluster and the Ediny Meditsinsky Portal telemedicine platform. Sergei Kalunin, deputy minister for digital development, urged cooperation among doctors and tech experts. Photo: Sk.ru. A new healthcare programme for Russia is currently being written that includes aspects such as digital hospitals and remote monitoring, said Sergei Kalugin, deputy minister for digital development and mass communications, whose ministry is working closely with the Health Ministry on the programme, together with the Skolkovo Foundation. “A united database is being created that will use neural networks that make it possible to know all about the patient, enable predictive analysis, and should lead to cases in which instead of treating people, we prevent them from becoming ill, which also saves money,” noted Kalugin. The difficult part is not thinking up solutions, but making sure they are realised, and with this in mind, the ministries working on the healthcare programme set up a consortium at the beginning of the year, he said. 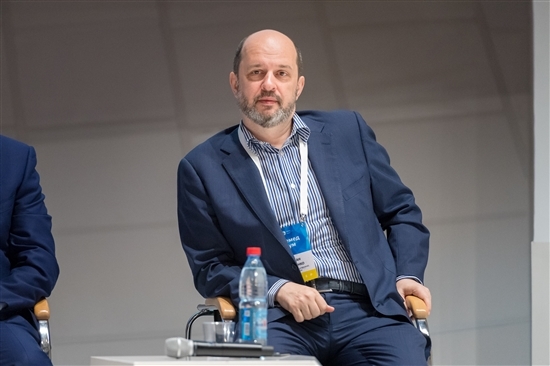 German Klimenko believes digital medicine has strong export potential. Photo: Sk.ru. The consortium includes state corporations such as Rosatom and Rostelecom, leading medical institutes including the Almazov National Medical Research Centre, major scientific institutes like ITMO in St. Petersburg, which is renowned for its programmers, and a whole range of medium and small companies working in fields connected to telemedicine, said Kalugin, adding that he hoped the consortium would help to get solutions implemented in practice in Russia’s regions. It’s also one of Russia’s strongest potential exports, said Klimenko, noting that Russia had always produced excellent programmers and software. One of the issues due to be addressed during the conference and outlined during its opening was that of the clashes often seen between medical professionals and technical experts in attempts to digitalise health systems. “Digital transformation is a serious challenge,” said Dmitry Kurapeev, head of information technologies at the Almazov National Medical Research Centre. “As the head of an IT structure and a former doctor, I see the contradictions between technicians and medical management that have been mentioned here today. I try to build bridges between them and find the best mechanisms to introduce change,” he told the conference. Calling on conference participants to join forces to transform and modernise Russia’s medical institutions, Kalugin set the agenda for the day’s following discussions.